Thank you so much for visiting my blog today, I really hope you like my project. I am taking up the challenge Stampin' Up! set at On Stage. I am doing #simplestamping. One stamp set, one ink pad and some card stock. 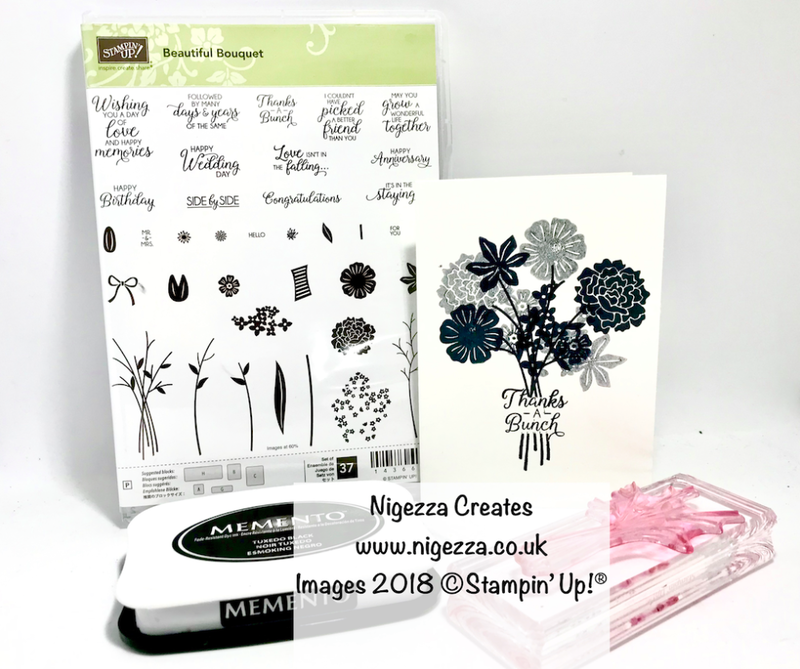 I am also setting the Design Team Challenge on the Facebook group Stampin For All this week which is a floral card, SO I am killing g2 birds with one stone! So I have put to gather as few supplies as I could that would enable you to create beautiful cards for all sorts of occasions. Perfect for when starting out or to give as a Christmas present. Total cost is £44.25.